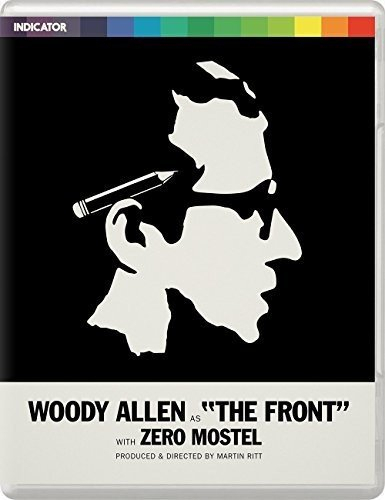 Drama directed by Martin Ritt and starring Woody Allen, Zero Mostel and Andrea Marcovicci. Set during the early fifties at the time of Joseph McCarthy's communist witch-hunts, Howard Prince (Allen) is a restaurant cashier who is asked to 'front' for several blacklisted television writers by submitting their scripts under his name. At first the politically unaffiliated, Howard does this in order to pay off his gambling debts. But as he becomes more personally involved with the writers and their work, he starts questioning the repressive system that is forcing writers underground. Beautifully presented by Indicator, this 4K restoration is packed with extras and limited to 3000 copies.